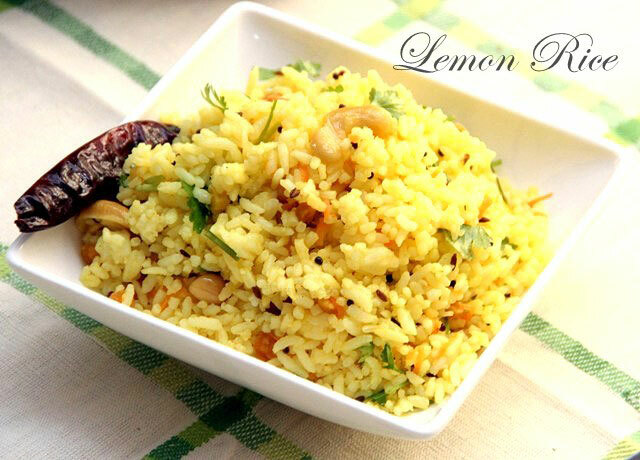 An all time favourite tangy South Indian lemon rice recipe makes a quick and hearty meal. 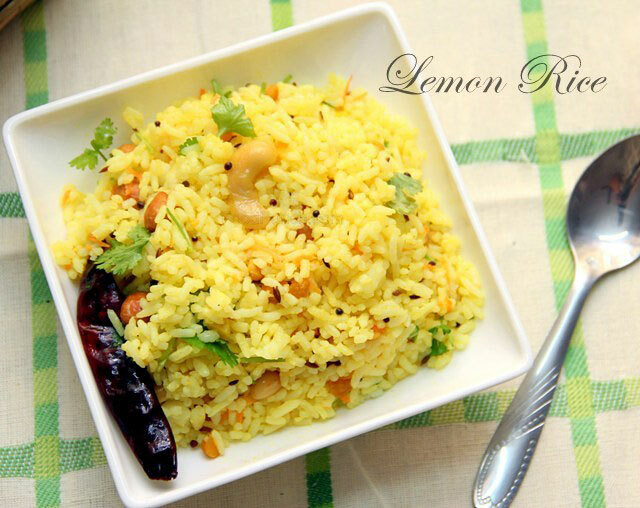 Lemon Rice is a yummy South Indian dish made with cooked rice and flavored with the tanginess of Lemon juice which adds a delicious tang and freshness to the rice. 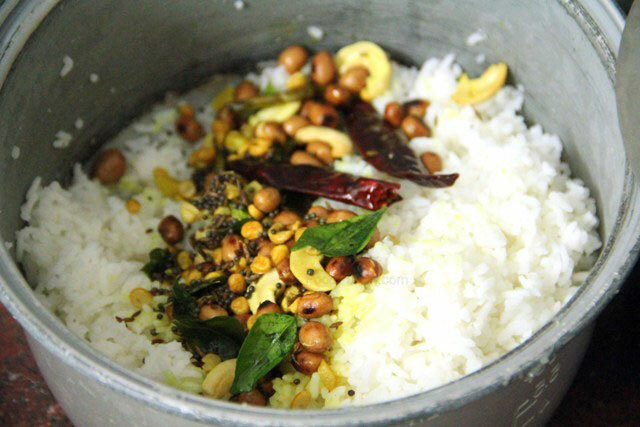 You can also make it with leftover rice. And, this is the best recipe for any age group and can be packed in a lunch box for it keeps fresh for hours. 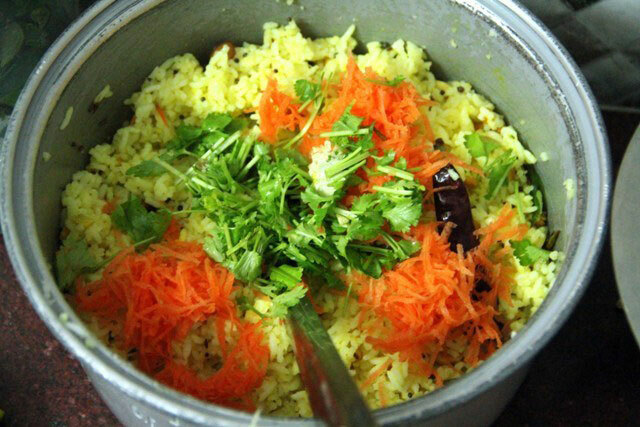 Some fresh grated carrots simply add a nice colour to the recipe besides the obvious health benefits. 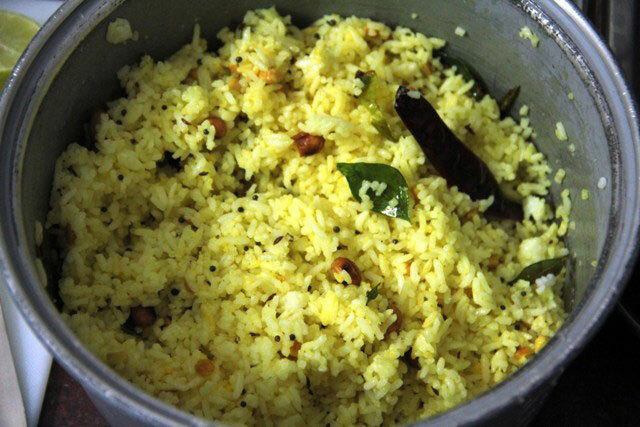 Cook rice and add salt, oil and spread it to cool down for few minutes. 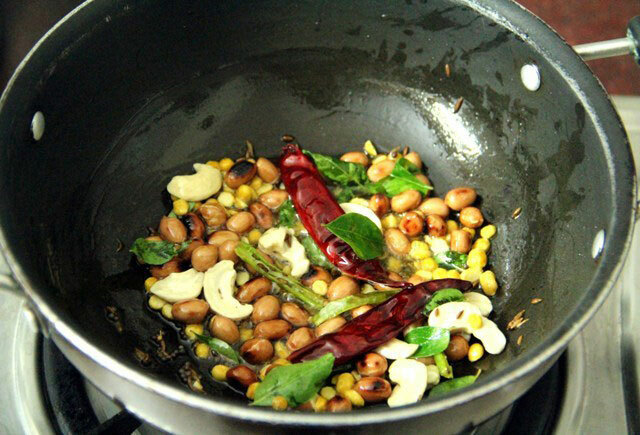 Heat oil in kadai and add mustard seeds, urad dal, red chillies, channa dal, curry leaves, ginger pieces, turmeric, hing, cashew nuts, peanuts, green chillies. Add it to rice and mix well. Add carrot and coriander leaves. 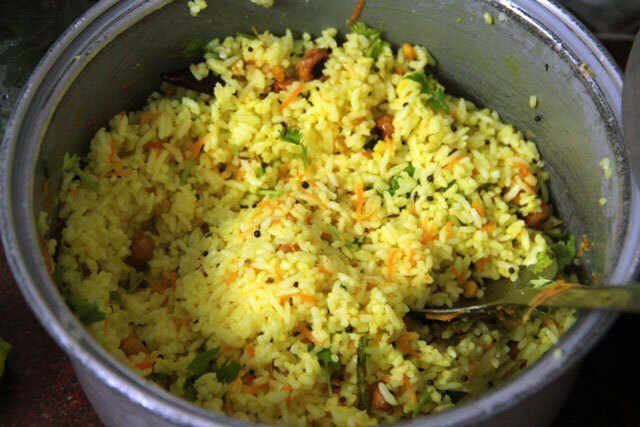 Let the rice cool completely and add lemon juice and mix well. Serve hot. 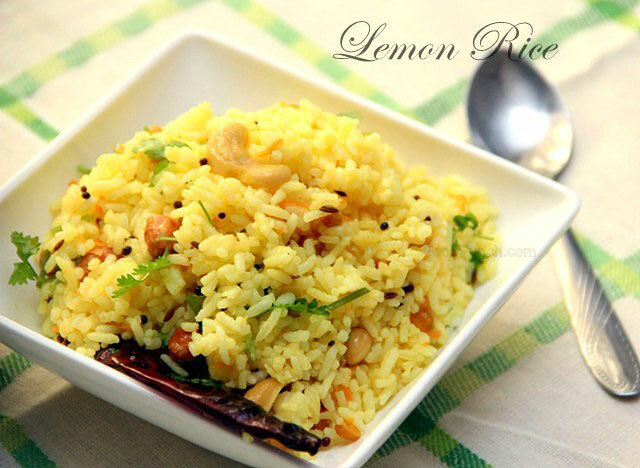 Don’t add lemon juice when the rice is hot. Be careful while stirring the cooked rice for you don’t want to break the strands.